Fortnite Season 7 week 7 has begun. The new week in Fortnite presents all new challenges that players can complete to unlock tiers towards their battle pass. 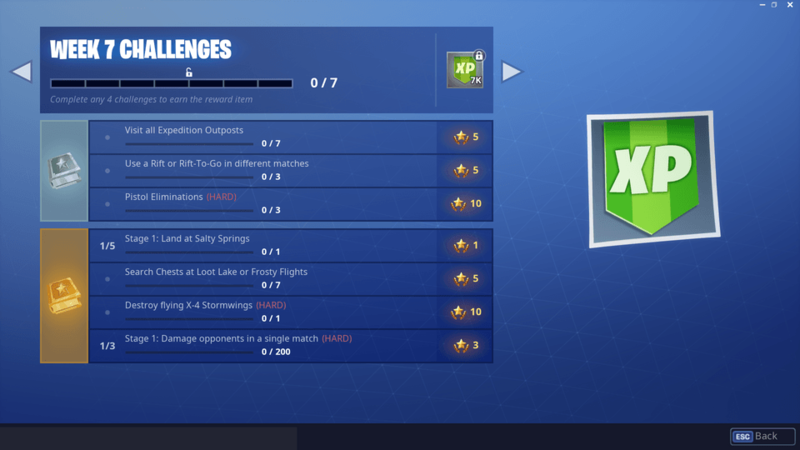 This week there are a total of 7 challenges on the cheat sheet, worth a total of 50 battle pass stars. 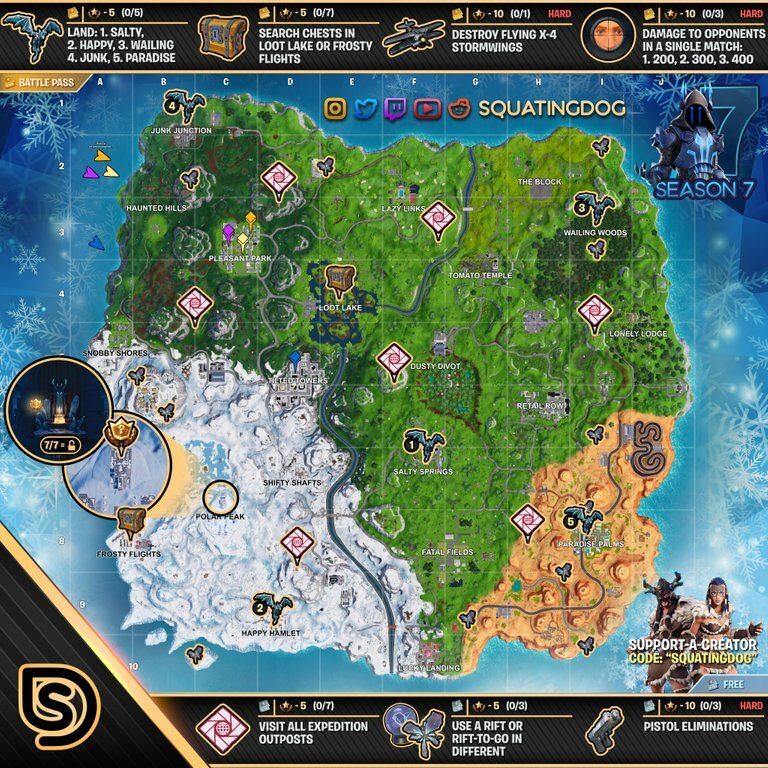 By using the cheat sheet you will be able to locate of expedition outposts, locate the more popular rifts and more. Week 7’s challenges are broken down into two categories, free and paid. Those who are playing on the free battle pass for season 7 will be able to complete 3 challenges worth 20 battle pass stars. Those that have purchased a season 7 battle pass will be able to complete not only the 3 free challenges, but 4 paid challenges for a total of 50 stars. 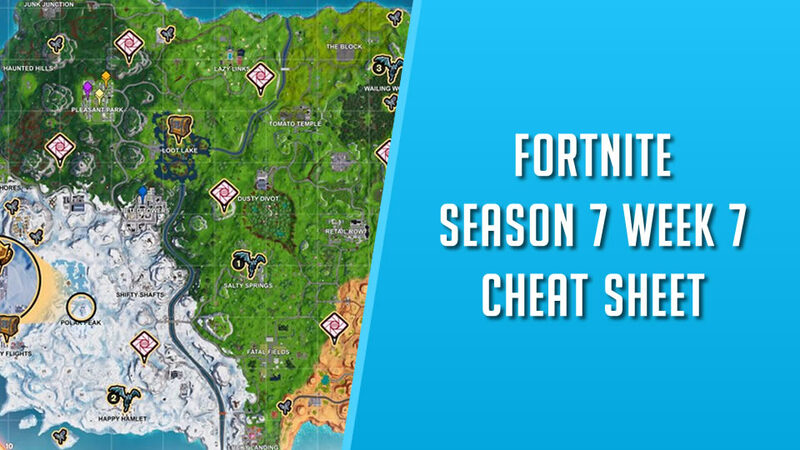 Also on this weeks cheat sheet is the location of the hidden battle star. Week 7’s battle star is hidden near Polar Peak and can be found on the North end of town.